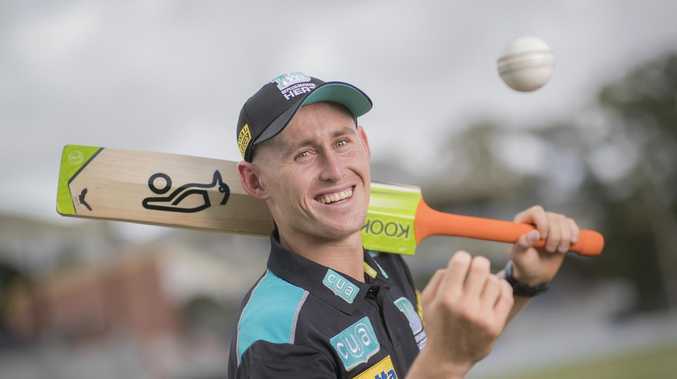 TEST hopeful Marnus Labuschagne has had his first training session with the Aussies since being called into the extended squad for Thursday's fourth Test against India. Labuschagne sent down a spell of leg-spinners and had a hit-out in the nets at the team's optional session at the SCG on New Year's Day, as he pushed to play his first Test on home soil. The 24-year-old, who debuted in the UAE last year, could come into the side at the expense of Mitch Marsh as a top-six batsman and extra bowling option. Axed batsman Peter Handscomb was also in attendance, after admitting last week his chances of fighting his way back into the side for the Sydney Test were remote. They were joined by the majority of Australia's top order, with the quicks - including Marsh - taking the morning off alongside Shaun Marsh and Travis Head. India are also enjoying a day off training on Tuesday, before attempting to maintain or extend their 2-1 series lead in Sydney in a bid to become the first Asian team to win a Test series in Australia.